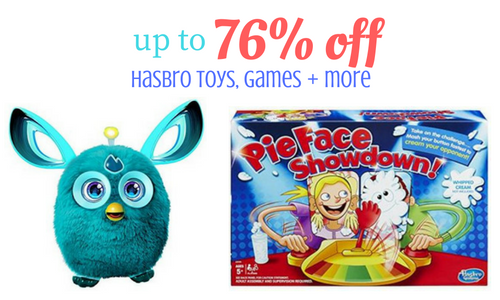 Today only, you can grab tons of Hasbro toys, games and more for up to 76% off on Amazon today! It’s a great time to stock up on gifts for the kids. Grab popular toys including several Play-Doh sets, Nerf items, Furby Connect and more. Offer valid today 11/28 only. Shipping is FREE with Prime. If you don’t have Prime right now is great time to try there free 3-day trial.